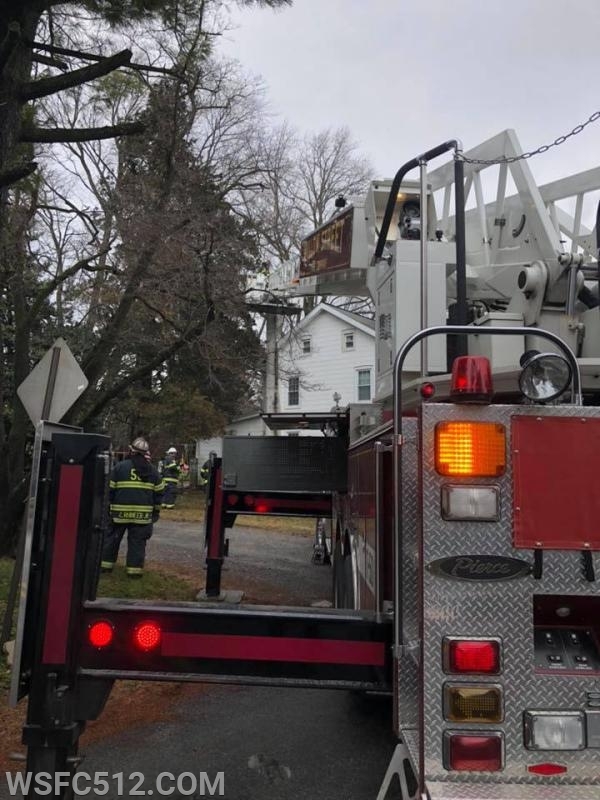 Just after 1130 this morning the Tower and Engine 2 assisted Refton Fire Company on a chimney fire in the 100 blk of Main, Strasburg Township . Chief 59 ( Hicks) arrived to find smoke coming from the chimney. Tower 50 arrived and set on the Alpha / Bravo side of the house. 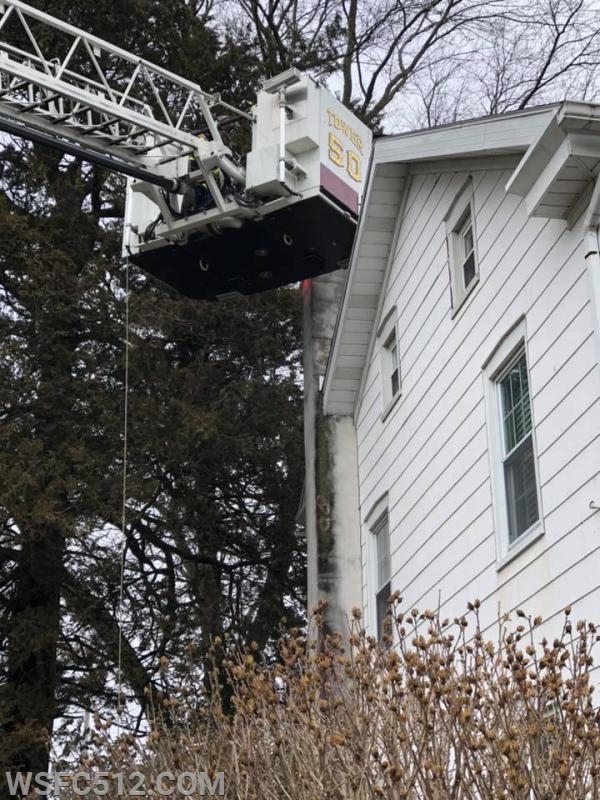 The tower crew worked with the interior crew to run the brushes down the chimney to knock the fire down. Engine 502 also made the response and assisted with various fire ground activities. 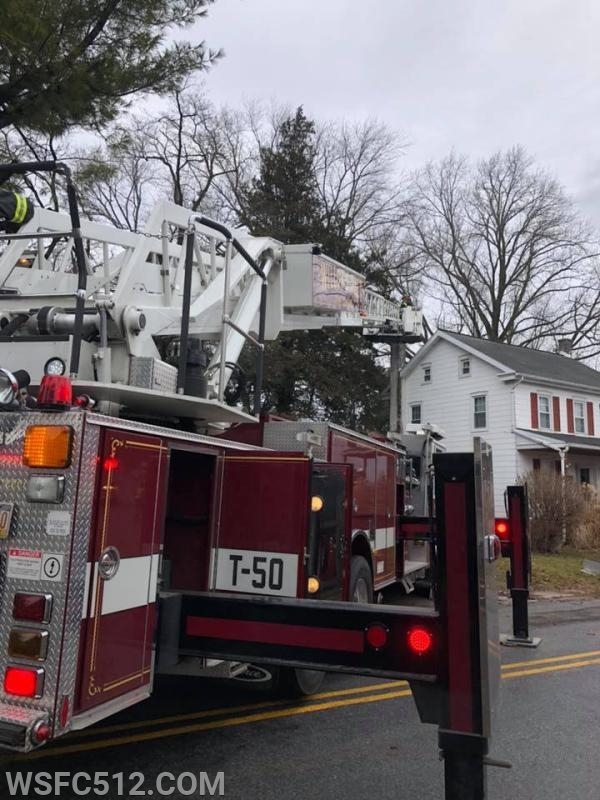 Squad 502 made the response and assisted with controlling traffic around the fire scene.